I love eating fajitas. It was one of the only things I could actually make when my husband and I were first married. Almost 9 years later, we are still having one of my favorites, but now, chicken fajitas just got a whole lot easier! Just lay the chicken down in a baking dish. Sprinkle with 1/2 package of taco seasoning. Put your salsa over the taco seasoning then cover with your cut up veggies. Drizzle the olive oil over top. Bake at 375 for 45 minutes or until your chicken is cooked through. Slice the cooked chicken into strips. Do you love One Pan Recipes as much as we do? 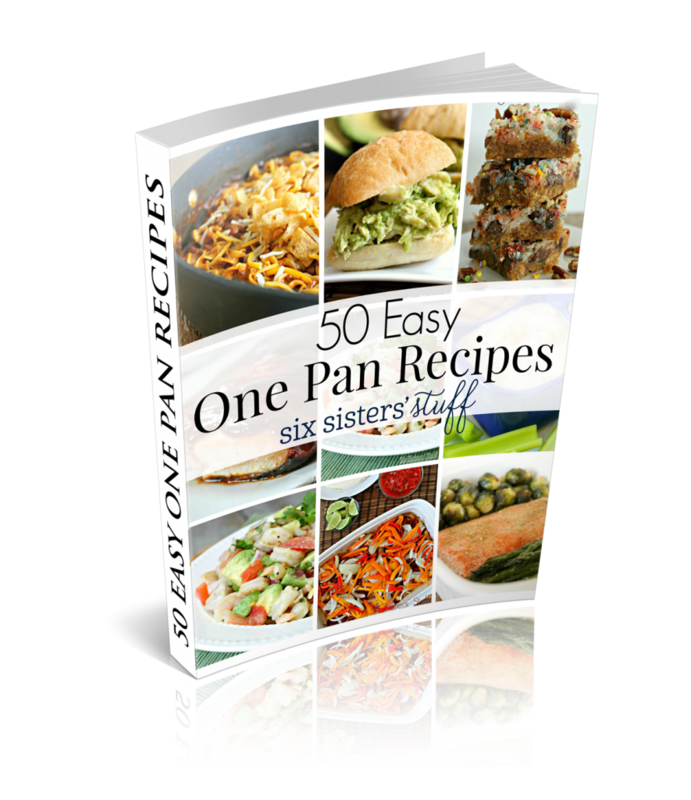 One Pan Recipes today for only $4.99! Do you just serve the salsa listed in the recipe on the side? I'm so sorry about that! It is fixed! Just wondering the same thing about the salsa. Do you add before cooking or as a topping? So sorry about that! It is fixed! Wondering the same thing regarding the salsa - making tonight - please let me know asap! Is the salsa served as a topping or added into the dish before baking? Thanks. Wondering about the salsa also. Looks delicious. I may be overlooking it, but is the second half of the taco seasoning packet ever used? I only notice where it says to sprinkle half over the chicken. Excited to try this, as my husband has been asking for fajitas lately! How long do you bake it if you are using chicken tenders? Just check it around 30 minutes and see if your chicken is cooked through or if it needs a little longer. Tenders won't take quite as long as chicken breasts.